Long time no review, beauty addicts! ♥ I don't want to bore you with the details of why I've been gone for so long, but I figured I would come back with a review of something near and dear to my heart--an eyeshadow palette. Recently, I have not been buying a lot of makeup at all. In fact, there was a span of nine months where I didn't buy any makeup at all (shocking, I know). However, when I saw this beauty in store, it was pretty easy to convince myself that I needed it. Okay, maybe need is a strong word, but on what planet is a travel-sized neutral eyeshadow palette not a necessity in every girl's makeup bag? While I haven't tested her out yet, I figured this first impressions could still be quite informative. However, if you would like to see a tutorial of me using this palette, make sure to leave a comment down below. Now, let's get into this palette, shall we? 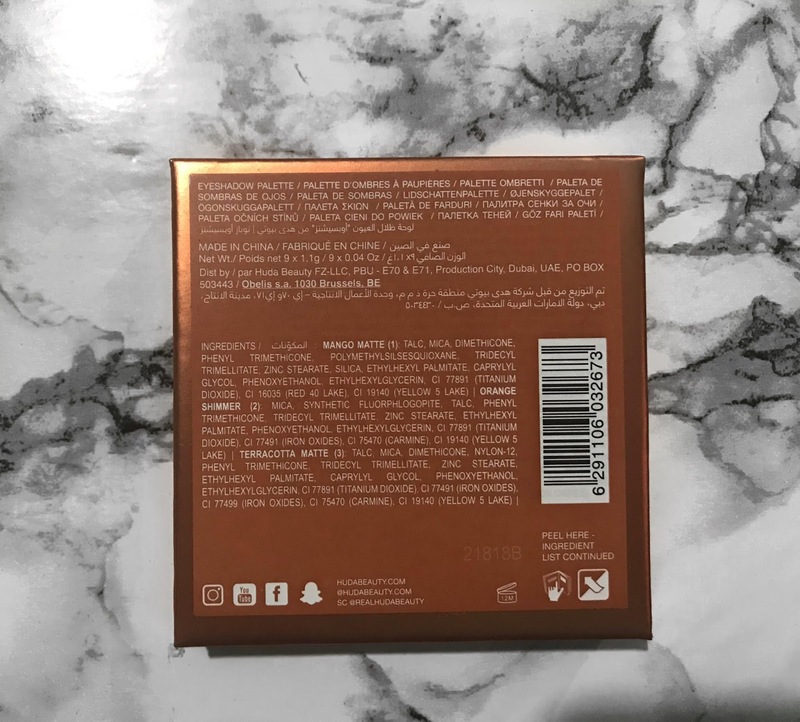 To my knowledge, these eyeshadows don't have names as there aren't any listed anywhere on the packaging, so (to be clear) I will be describing the shadows and my initial experiences in swatching them going row by row from top to bottom and left to right. ♥ Shadow 1 - Light matte tangerine. Swatches very light and takes a few layers to build up to the intensity that it is on my arm. Perfect transition shade. ♥ Shadow 2 - Glittery copper. If you are familiar with the original Huda Beauty Rose Gold Eyeshadow Palette, then you will recognize this formula as one of her textured shades. The base color is very sheer and contains metallic chunky flakes throughout. It is my least favorite shade in the palette, but will probably perform better when used wet or with a sticky primer. ♥ Shadow 3 - Warm, matte medium brown. There was a bit of patchiness with this one, but that blended out when layered. ♥ Shadow 4 - Metallic gold. Beautiful true gold with excellent pigmentation. A shade that is relatively standard in these travel-sized palettes. ♥ Shadow 5 - Matte light peach. Great pigmentation and alternative transition shade. ♥ Shadow 6 - Metallic bronze. Buttery texture and pigmentation with one swipe. ♥ Shadow 7 - Deep chocolatey matte brown. Drier formula, but has excellent pigmentation. Great alternative to a black shade, making this palette more suitable for daytime or transitioning from daytime to nighttime. ♥ Shadow 8 - Slightly darker version of Shadow # 3. ♥ Shadow 9 - Slightly lighter metallic bronze than shadow # 6, but with pink reflects. This is a mini or travel-sized eyeshadow palette that is the size of your palm. Because of its neutral color palette, it can act as your standalone or as an accompaniment to some of the funkier shades in your collection. 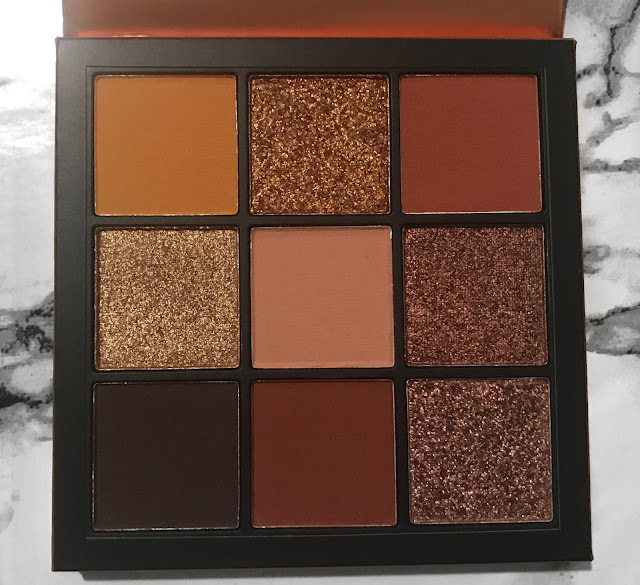 It contains nine eyeshadows and a mirror for $27 and can be purchased at Sephora or directly from the Huda Beauty website. 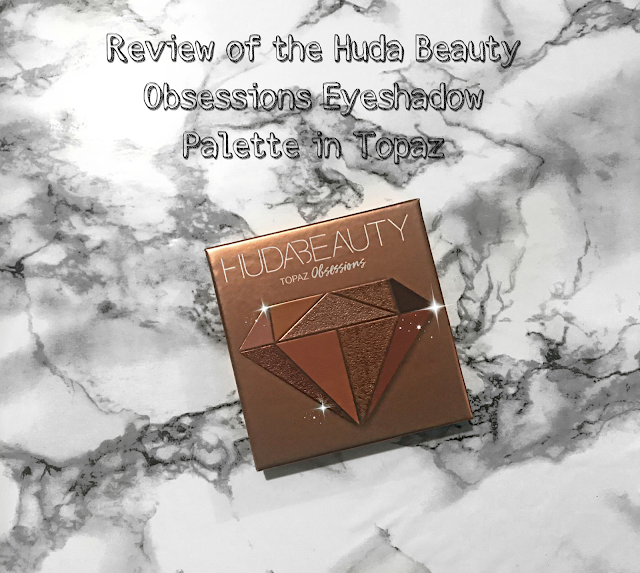 Currently as I am writing this post, the Huda Beauty mini eyeshadow palette range has expanded to 11 palettes containing everything from your neutrals to your brights, purples, blues, greens, and reds. 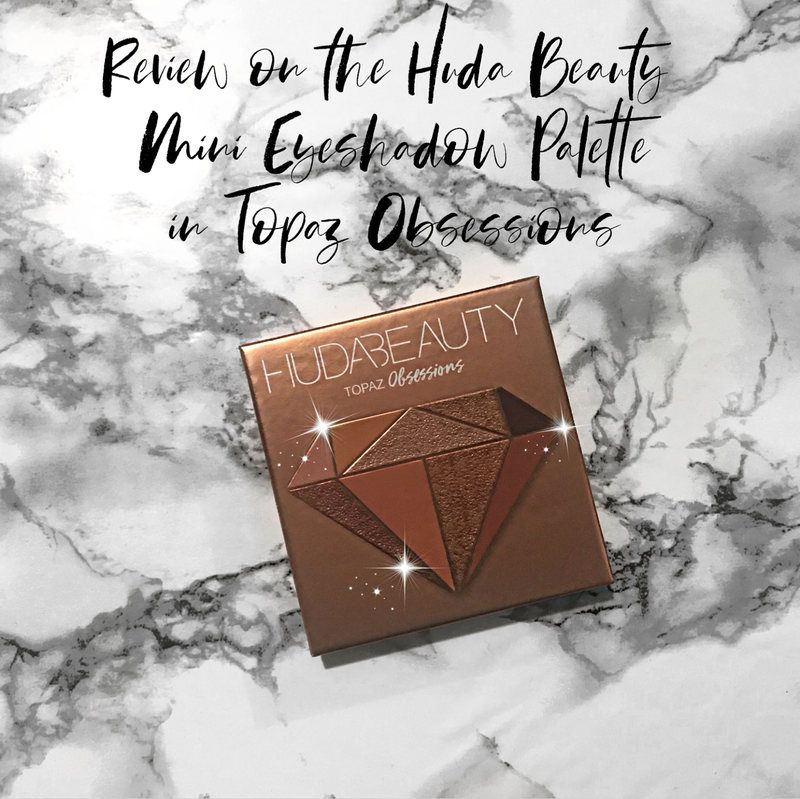 According to the description on the Sephora website: "Each Huda Beauty Obsessions Eyeshadow Palette is packed with a selection of nine highly pigmented mattes and striking shimmers, all with a smooth and blendable texture...the palettes are super compact and lightweight, making them a must-have for your handbag. 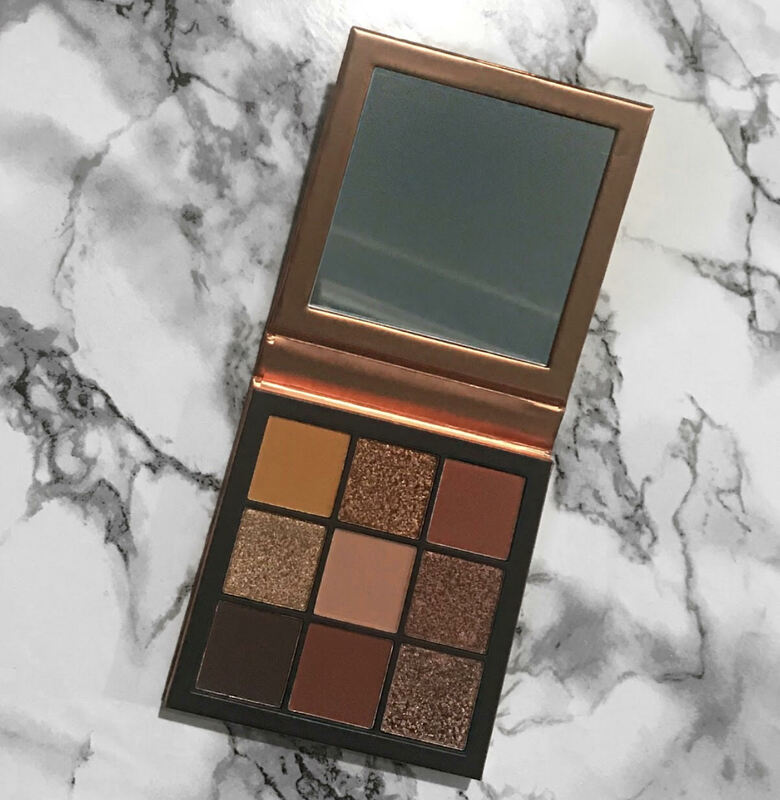 The large mirror, conveniently-sized palette, and versatile shade collection allow you to create both classic and playful looks that are easy to apply on-the-go." Since this is just a first impressions, it wouldn't be fair of me to make a judgment based on swatches alone as they can be misleading. However, I can say that the formula of the first row could use some work as those shades don't feel as smooth and effortless as the others. Upon first glancing at this palette, I was obsessed with this color story. Despite probably having a dozen different versions of these same colors in my collection already, I cannot deny how convenient it would be to have all these shades in one place in such compact packaging. 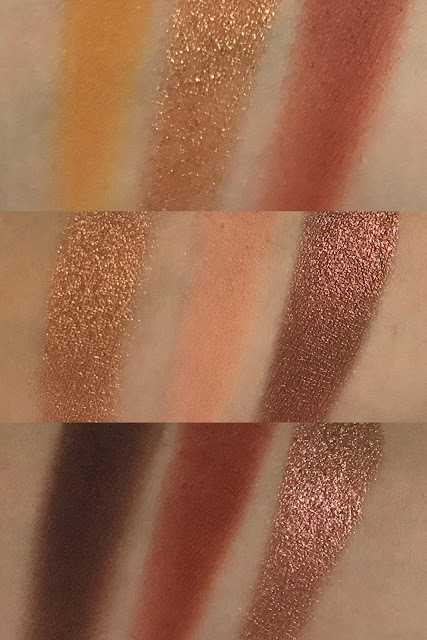 However, upon swatching, I was disappointed to learn that a couple of the shades--Shadow # 3 & Shadow # 8 and Shadow# 6 and Shadow # 9--look almost identical. Because of this, I would have liked to see a little more variety in the neutrals provided, such as a vanilla highlight shade or a champagne. Other than that, this palette has a lot of potential and I am excited to actually try this out on my eyes. That's it for this first impression, beauty addicts. Don't forget, if you'd like to see a tutorial with possibly a more in-depth review of this product, make sure to leave a comment below and I'll get right on it.